Restaurants across the country are implementing valet services or heightened security for their customers. Employees working in these capacities are housed in portable steel booths with character. 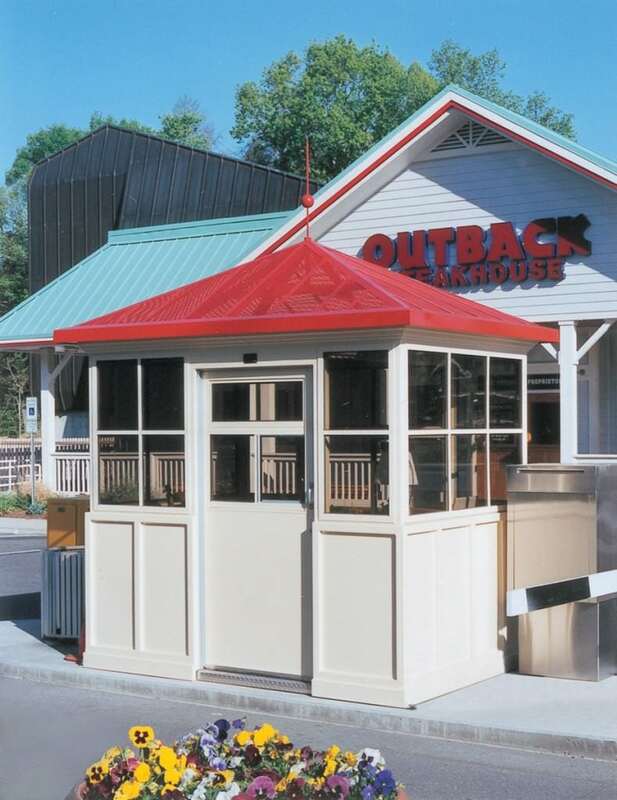 This “Presidential” booth mirrors the color scheme and peaked roof lines of the restaurant. Expanded metal peaked roof allows air conditioner free air circulation & rain to be diverted to a specific downspout. Bronze tinted glass reduces sun glare. Cashier windows installed in the door allows papers or keys to be passed without opening the door. Alterations to the standard “Presidential” package are made to meet each customer’s particular application.